A picturesque unison of rustic and sophisticated charm! Adorn metallic and decorative structures with floral accents intertwined all over for a traditionally elegant look. Jazz it up with tiny floral danglers along the metallic rim to evoke a feeling of a ceremonious wedding celebration. A visually spectacular and extravagant stage of celebration! Put up a breathtaking show of celebration for your dream wedding with a grand stage décor complemented with colorful lighting combinations. Add an enchanting vibe with rustic chandeliers and decorative patterns of lights. Glam up your wedding space with a bright and elegant crystal chandelier adorned with charming floral accents. Accentuate the décor by jazzing it up with dripping crystals on all sides of the chandelier. A lavish array of elegance, sophistication, and charm! Florally embellished, a reception stage with regal seats and fresh green backdrop evokes a welcoming charm. Adorn it with an exquisite blend of colorful accents and vine along the wall. An ethereal canopy for a fairytale wedding! Crowned with luxe floral accent, a graceful canopy draped with delicate fabric creates a romantic mood for a dream wedding. Adorned with flowing floral décor and candle chandelier, it exudes a beautiful blend of modern and traditional look. 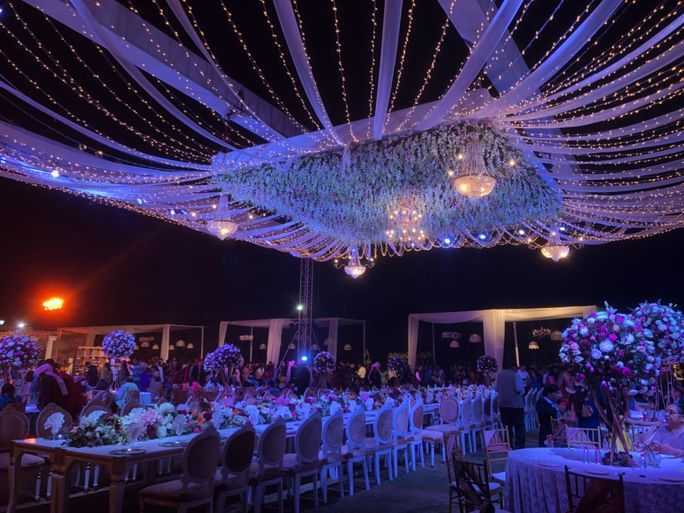 As you begin your journey of marriage, we, at DreamzKrraft, ensure that we transform your imagination of a dream wedding into a spectacular celebration. 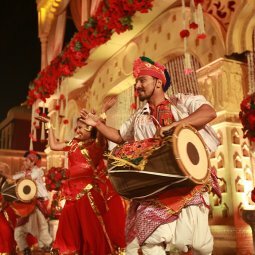 Orchestrating every detail with finesse, we craft an astounding wedding of your choice – extravagant or intimate, royal or traditional, you think of it and we make it happen. DreamzKrraft leaves no stone unturned, from fixing venues to designing décor in order to curate a remarkable wedding experience! Stay connected with exclusive recommendations by Dreamzkrraft! Create the perfect mood and ambience for every event by choosing the right décor only at DreamzKraft. Drawing inspiration from your love and passion, our vendors develop a charming and captivating creation, especially for your special day. 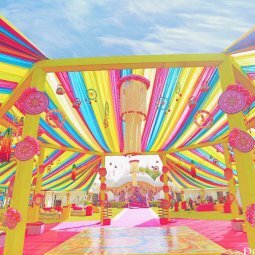 DreamzKraft, with the help of specialised artists, brings life and vigour to your wedding. We give you the best of everything! We create experiences that last a lifetime. To attest to that, here are few of our clients testimonials. You truly crafted our Dreams for us and and made this event memorable for each and everyone present. We will cherish these memories forever and ever. I am ever so grateful to DreamzKraft for the wedding co-ordination and styling from scratch. It was one of the best decisions ever made regarding the wedding. Thank you doesn't seem enough for the pains and efforts put in by the team to ensure a stupendous wedding. I will always remember my wedding to be perfect and DreamzKraft were a big part of creating, with utmost precision and patience, that beautiful vivid memory in my mind for a lifetime! Realize your dream of having a spectacular wedding ceremony into reality with extravagant celebration and unforgettable memories. To do so, we, at DreamzKrraft, help you in creating an astounding décor of your choice, ranging from traditional to modern to outdoor to intimate to royal to beachy. Apart from impeccable decors, we also offer wedding services and wedding planning tools for smooth and simple operations. 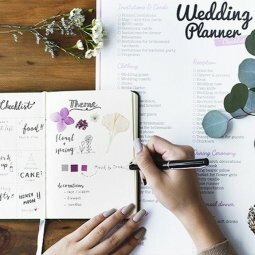 You can also find a curated list of handpicked professional artists to make your celebration filled with entertainment, ranging from music to dance to laughter. If you are looking for a fine destination for your wedding, we have maintained a detailed list of a variety of venues across the country. You can pick the most suitable one for a regal or natural or luxurious or traditional wedding. Making all of these facilities available to you at your fingertips, DreamzKrraft is a gateway to organizing your dream wedding.